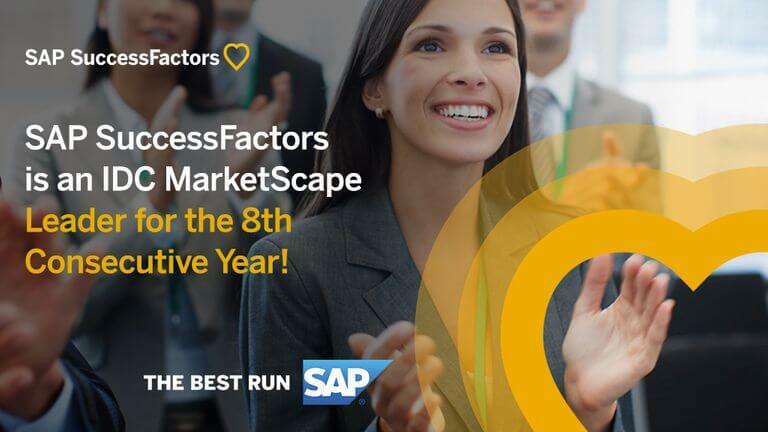 SAP SucessFactors Solutions was crowned Leader in the 2018 IDC MarketScape Vendor Assessments for Worldwide Integrated Talent Management, Performance Management, Learning Management and Compensation Management for the 8th time in a row. IDC MarketScapes has dedicated, rigorous scoring method to help vendors determine their standing in terms of integrated talent, performance, learning and compensation management. This assessment will help not only the vendors in developing a counter marketing strategy, but also the consumers itself, which will have a third-party review of the skills of the vendors. IDC MarketScapes ensures that all assessment was not biased and is up-to-date because they use detailed surveys, interviews and end-user experiences. SAP SuccessFactors has broad, deep relationships with key industry, technology and consulting partners through SAP’s PartnerEdge program. Based on SAP’s extensible, connected cloud platform, and working with its partners, SAP SuccessFactors delivers comprehensive solutions to today’s talent management challenges. Following its major 2016 introduction of continuous performance management (CPM), SAP SuccessFactors continues to invest in all areas of talent management with enhancements to CPM. The company also introduced updates in user experience, extensibility, analytics and support for key business initiatives. In learning management, the offering is particularly strong when leveraging a deep integration with the social collaboration capabilities offered through SAP Jam. The compensation module is a robust and full-featured solution. Strong modeling and embedded analytics make it a useful solution to both compensation analysts and managers.